The Rufous Dog-faced Bat was discovered by Williams & Genoways in 1980. It inhabits Brazil, Guyana, Peru and Suriname. It is currently (2003) listed as a near-threatened species. It was listed as endangered in 1996, but the threat was reduced in 2000. Very few reportings of this particular bat species have been uncovered. It is from the Mollossidae family of bats. Bats in this family are Free-tailed or Mastiff Bats, the Rufous Dog-faced Bat is a free-tailed bat. It is rare to find this particular species of bat, and thus very little research has been carried out. It is also known simply as the Dog-faced Bat. 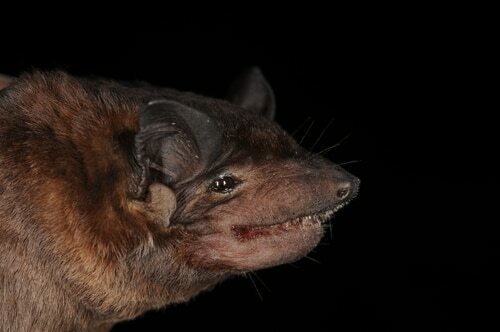 E-mail to add your Rufous Dog-faced Bat related website.